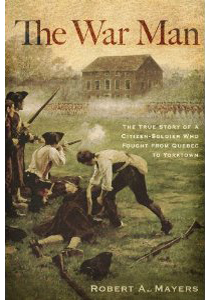 The War Man: The True Story of a Citizen-Soldier Who Fought from Quebec to Yorktown is an authentic exploration of a real soldier’s life in the American Revolution. 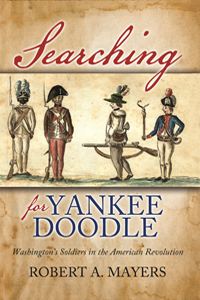 Robert Mayers creates an Intimate Portrait of a Real Soldier of the American Revolution. In 1775, the first year of the American Revolution, Congress made an appeal for troops. The resulting army of citizen-soldiers began what for many would be more than five years of battle and deprivation. Their consolation, however, was that they would ultimately defeat the most powerful army of the age and win independence for the new country of America. 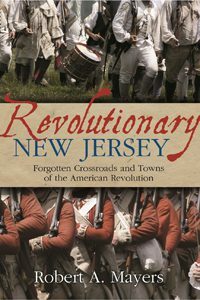 John Allison, a New York farmer, answered the call to arms in 1775, joining the Continental Army’s 3rd New York Infantry. Allison was surrounded by like-minded volunteers, yet all were equally unprepared for campaigning. Despite the lack of training, equipment, and clothing, Allison and the rest of his company found themselves marching toward Quebec knee-deep in snow as part of the unsuccessful American invasion of Canada. So begins the remarkable story of the wartime experiences of a foot soldier of the American Revolution. Using letters, muster rolls, orderly books, service records, and oral family history, Robert A. Mayers reconstructs the campaign life of John Allison. What makes his life remarkable is that he participated in many key events across the colonies for the duration of the war. Allison fought at the gates of Montreal, the battle of Fort Montgomery on the Hudson–where most of his company was either killed or went missing–the decisive Sullivan-Clinton operation against the Iroquois, endured the bitter winter at Morristown, New Jersey, and helped man the frontline at the American victory at Yorktown, Virginia. During Allison’s eight-year military career, he survived numerous skirmishes and battles across the colonies, was promoted to the rank of corporal, and returned home a local hero. The War Man: The True Story of a Citizen-Soldier Who Fought From Quebec to Yorktown is a unique opportunity to follow the course of the American Revolution through the eyes of a front-line volunteer. 2/22/2019: Bob Mayers to Speak at Washington Campground Assn.